Unless you are following a completely baby-led approach to weaning, those of us who start off with little spoonfuls of smooth puree will eventually have to face the big weaning challenge of introducing lumps to your baby’s diet. From around 7-8 months your baby will be ready to try a bit more varied texture in their foods – it is important to acknowledge that your baby’s needs are developing and a key element of feeding at this age is the introduction of lumps and more advanced flavours. It can be fairly daunting as a parent to encourage your baby to not only accept the lumps, but to actually learn to really enjoy eating. This is where I have found being a second time mum a lot easier on this front. 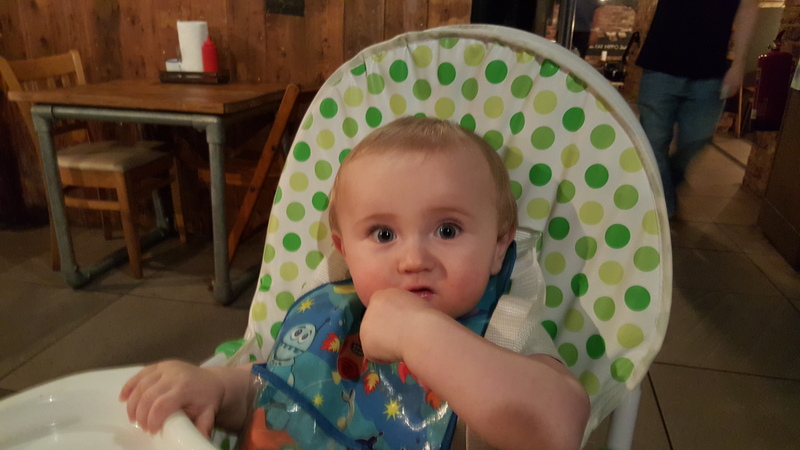 I was terrified about Joe choking when he was a baby, as all parents initially are, and this is possibly why he ended up being fussy about lumps – he would often spit them out, and is still sometimes funny about ‘bits’ in his food. With Jake I have had a much more relaxed approach and have trusted him to learn how to deal with the lumps as babies do, and importantly not panic when he starts to gag occasionally. We have also introduced finger foods a bit earlier than we did with Joe and he seems to be turning into a great little eater! It has been great working with HiPP as we have been able to try lots of different varieties from their range and Jake has happily eaten pretty much everything we’ve offered him. With small lumps to encourage chewing, larger portion sizes and an introduction to new ingredients, HiPP’s range of over 40 recipes at this stage are perfect for progressing those taste buds to more interesting flavours and textures at mealtimes. Jake has cut his first two bottom teeth in the last month so he is managing brilliantly with properly chewing soft food now. He enjoys pasta, potato and rice dishes with little chunks of vegetable to chomp on, and gets through tons of rice cakes, baby biscuits and toast. 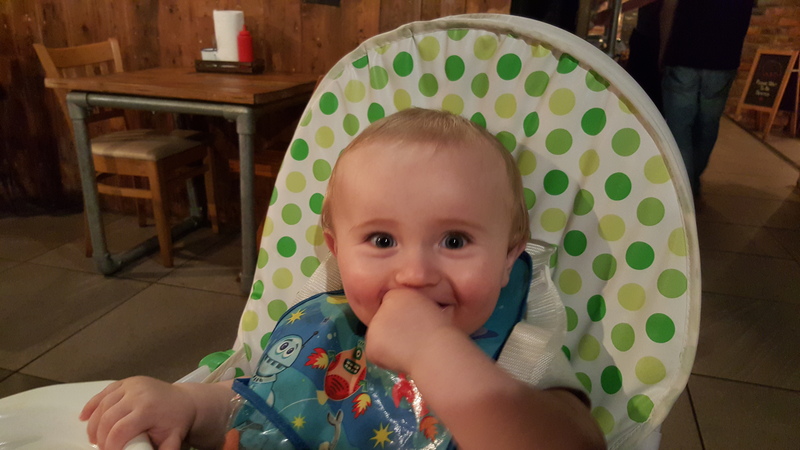 Now I am back at work and he is going to nursery three days a week, he is getting even more variety of foods, and he is starting to enjoy mealtimes as a social occasion as he eats with his little friends. And if someone at home dares to have something to eat in front of him when he hasn’t got anything he soon starts to complain! It’s brilliant seeing him go from strength to strength with his food, and we have been able to gradually cut down his milk intake as he eats more too. We’re looking forward to moving on to the next stage of trying more challenging foods. I don’t see them presenting a problem for our hungry hound! 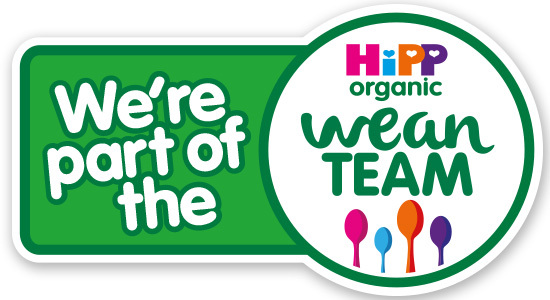 HiPP Organic have a wide range of products suitable from 7 months+ including 160g and 190g jars as well as 130g savoury pouches and fruit pots. They have produced a handy guide to introducing lumps and this fab video from HiPP’s nutritionist Helen, sharing her top tips for how and when to introduce lumps. If you’d like to be prepared to deal with a baby or child choking, HiPP has shared guidance from St John Ambulance around the topic of choking on their blog.